Workforce management at its most basic level is essentially a combination of processes and technology businesses use to manage their workforce and its related productivity. It is generally comprised of the following elements across a multitude of businesses, including: attendance management and timekeeping, scheduling and shift management and labor planning and forecasting. However, in industries which must conduct field based services for business or commercial customers, workforce management, particularly mobile workforce management, takes on added importance and complexity. In the field service industry workforce management certainly includes attendance management and timekeeping, scheduling and shift management as well as labor planning and forecasting. However, field service operations also must consider managing demand, scheduling, mobile technician or worker enablement, work order management, operations and analytics, according to Gartner’s report, “The Six Categories of Field Service Management Application Functionality and Why You Need Them”, Jim Robinson, March 2018. Let’s look at each category and consider why it’s important. The demand for service comes from many channels in modern field service operations. A critical consideration for field service operations is offering customers a channel in which to request service that is easy to use, responsive and can be done from anywhere, at any time and from any device. Social media and 24x7 connectivity have changed consumer expectations. Phone calls with long wait times are no longer acceptable. Best-in-class field service organizations offer customers the ability to schedule service via branded web portals, directly from their website, via mobile apps or via IVRs and even via some social media platforms. IoT is one of the newest ways service can be requested, and it doesn’t even have to be initiated by the customer. Connected machines can alert field service organizations of required maintenance and pending failure before customers are aware of issues. The key here is that businesses need to create easy ways for customers to request services from their operation and mobile workforce. Managing demand, however, includes more than the service request. When a request is initiated, depending on the actual service requested, estimating and triaging prior to onsite arrival may be required and is a critical element of workforce management, since a variety of personal may be required to complete the entire work order from initial request through onsite completion. Once those initial processes have been completed, the job must be scheduled to the best employee or contractor based on skills, geography and schedule availability, within its contractual response or SLA times, with the parts, accessories and additional helpers, for instance, to complete the work in the expected time frame. The field service organization and its workforce must also proactively communicate with customers regarding scheduled work, and any potential changes to expectations, which leads directly to the next category. AI-based schedule optimization products do 2 things well. One, they can use the AI engine to simultaneously churn through information related to the tech and his or her skills, geographical coverage and current scheduled jobs, as well as job related information, such as the skills required for a job, the time allotted to finish the job and other preferences and priorities. Two, they can use hard and soft constraints like SLA start and end, access hours, overtime and efficiency in the algorithm, as well as late appointments, canceled jobs, etc. AI is the only technology that can handle this level of data and logic, and reliably produce a schedule that is the lowest costs for your organization and the highest response for your customers. Additionally, batch optimization is different than intraday optimization. In the former example, scheduling a day’s worth of jobs within a CRM and then ‘optimizing’ the route is useful. However, it can only reorder jobs using travel or distance. True intraday optimization provides optimized appointment offers, meaning that the AI is evaluating the existing schedule and the incoming job request and offering an appointment that is optimized- providing the best possible slot on the schedule based on those parameters mentioned above, in addition to pure travel time. Another important recent improvement to consider is integrated mapping and location services. Using AI to schedule the best tech for a job in the least costly slot on a schedule, while accommodating the customer’s request is one thing. Using real time location and traffic data is an entirely higher level of scheduling. Using real time data, techs can be routed around traffic jams and closed roads, while automatically reporting their location to customers, improving the overall customer experience. Schedule optimization is not just for organizations with large employed workforces either. Any organization with field employees, even much smaller staffs, can realize the same benefits, using cloud based optimization products which don’t require the overhead of on premise deployments, but offer the same technology from the cloud. Workforce management is critical to field service operations. Using integrated mobile workforce technologies, and fine tuning and perfecting the processes around people, product and the technology enables field technicians to deliver great customer experiences, driving future revenues, while also providing demonstrable, repeatable productivity gains and cost reductions to the operation. Scheduling must also account for contractual commitments and SLAs. Incoming schedule requests typically are for appointments, meaning that the customer requests the first available slot on a tech’s schedule. The optimization engine will return the best appointment given the hard and software constraints, and configurable parameters. Additionally, appointment will be automatically moved around within the hours promised to the consumer, to improve the efficiency of the schedule and continue to reduce the schedule costs. For SLA and dependent jobs, additional hard constraints must be met by the software. SLAs can typically be run within a specific period of time, for instance, 3 days. Scheduling products using AI will move that job around between the endpoints of the SLA, the start and stop date, while attempting to improve the efficiency of the schedule and continue to reduce the schedule costs. It will not break these constraints though. The benefit of AI scheduling software is that it automatically handles these sorts of scheduling scenarios, maintaining your contractual obligations without having to manually manage the changes or check for compliance. Dependent and complex jobs are handled much the same way, inasmuch as dependencies and complexities like multiple trips or multiple day work constitute constraints that they AI engine can automatically deal with, without breaking. Part scheduling is critical. For those products/services which require a part, a) part planning and forecasting tools can be used to identify commonly used parts which can be stocked on tech trucks, while b) triage processes, knowledge bases and even IOT technology can be employed to identify required parts, c) truck stock must be known at all times via solid mobile part inventory management such that as a request comes in, the tech with the skills and PARTS on the TRUCK can be scheduled for the event, improving first time fix rates and customer satisfaction scores..
Intelligently integrating third party contractors into your scheduling process helps on a number of fronts. Geographical coverage is lacking or seasonal spikes are in play. Response time or time to service is extended (too far out) to meet customer expectations, SLA or contractual requirements, or in emergency or priority situations. A specific skill, such as refrigeration, is required but lacking on staff. Low margin jobs are undesirable, but necessary to complete. Select workforce management technology which makes it easy for third parties to integrate with your employed field service workforce and, most importantly, provides them with a consistent funnel of work from your organization as well as other others.Volume speaks VOLUMES! Technology which enables your organization to seamlessly dispatch contractors or employees, while enforcing a consistent service experience, is the most important FSM technology available on the market today. A critical component of field service execution is mobile technology. A survey of consumers by The Service Council indicated that at least 50% of the time, field technicians arrived on-site with NO mobile technology. Mobile technology is more than a cell phone. 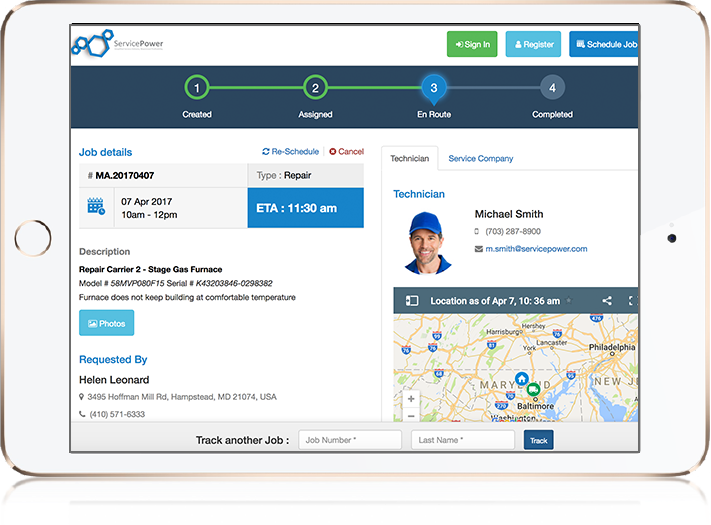 Mobile field service applications provide field techs with the process, information and access needed to complete a job in a single truck roll. Using configurable, cross platform technology, field service organizations can provide employed or contracted technicians with the ability to clock in or indicate work commencement, provide a schedule including the parts, tasks, forms and data to be collected, navigation including traffic information, as well as the ability to deliver estimates, process payments and collect survey responses. Field technicians need mobile technology to do their jobs and delight your customer. Business intelligence in today’s field service operations is a collaborative, real time experience that extends from forecasting and planning through service delivery and claims reimbursement. Using the latest in cloud technologies, data can be collected from across the operation and used to plan labor supply, including utilization of third party contractors and analyze technician data, including productivity of staff and response as well as potential fraud within the contractor ranks. More importantly, BI solutions should provide field service organizations with the ability to feed data back into the business, in real time, so that adjustments can be made to fine tune operations to deliver the best customer experiences, while decreasing costs and improving productivity. There are several challenges to workforce management deployments, including technology selection, integration, buy in and evolution of the business. When selecting a workforce management application, one must consider the existing state of operations and the agreed upon goals for the project, and match the technology’s capabilities to meet the goals and support both the complexity of operations and the volume of work performed by staff. Consider if and how then, to automatically and intelligently incorporate contracted labor and the tool which will drive the highest adoption rates within your contractor network. 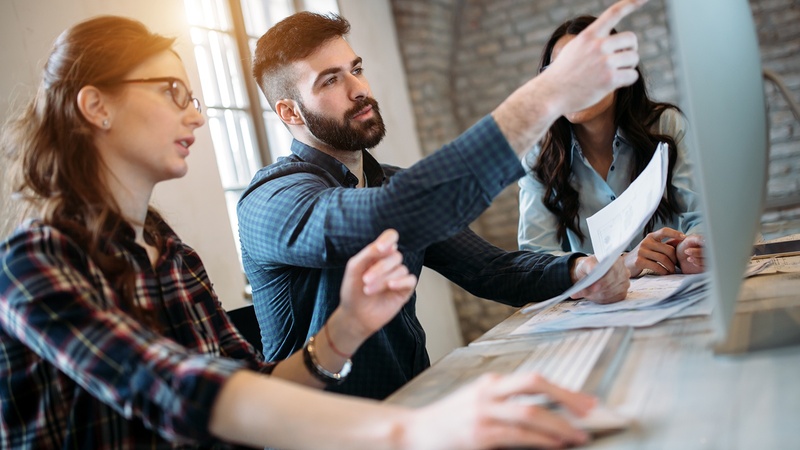 Workforce management solution vary greatly by vendor, and as suggested above, often utilize the same terms, but perform and deliver vastly different outcomes. Evaluate which will best achieve your goals. Once a section is made, integration and deployment options must then be considered. Cloud and SaaS solutions are increasingly popular due to the reduced hardware and software costs associated with the cloud, and its ability to scale quickly with volume. As security has become stronger, fewer concerns exist regarding customer privacy, thus also making cloud options desirable. Integration is the next challenge. Well thought out integration plans deliver the best long term results. Determine whether your team as the skill and capacity in house to integrate your existing applications and processes with your workforce management technology. If not, systems integrators can be great resources, both in terms of expertise with specific solutions, as well as from a fingers on keyboards perspective. Either way, be sure to include subject matter experts and MOST IMPORTANTLY stakeholders from across the enterprise, from the C-Suite, to techs and the call center. Hidden factors and unaddressed concerns with the project, technology or outcome can derail the best planned project quickly. This follows on with buy in as well. If the stakeholders from top to bottom and back to the top aren’t bought into the project, it will not achieve its intended results. Get buy in from the entire team. Lastly, workforce management is more than a software deployment. If takes effort to deploy the processes and technology to start, and it takes effort to maintain them. It takes effort and planning over the long term to ensure that your technology adapts with your business. As your goals change, as consumer expectations evolve and as new technologies emerge, such as digital assistants, you must consider how your workforce management solution needs to evolve with the changes to continue to support your business for the long haul. Workforce management software benefits your organization in a multitude of ways, enabling your field technicians to improve your customers’ experience, while also delivering operational benefits. Using workforce management software, field service organizations can better manage work orders. Using robust entitlement logic and configurable solutions, work orders can clearly define the customer’s requirements and what’s needed by each field tech in terms of parts, tasks and process, to complete each job quickly and completely, in a single truck roll. Using work order management in conjunction with schedule optimization technology ensures that the best skilled technicians are dispatched, and ETAs can be trusted, improving customer satisfaction. AI-based workforce management software which optimizes appointment offers in real time produce demonstrable, repeatable staff productivity. Using technician skills and geography, as well as hard and soft constratings, AI-based solutions can continuously re-optimize scheduled work as new work comes in, reducing schedule costs, while driving more jobs per tech, per day. Likewise, AI- based schedule optimization uses real data, like drive time and distance, traffic congestion, job duration and tech efficiency to predict ETA and ETF which can be trusted by your customers. And, in the event that a schedule exception occurs, real time Gantts can indicated clearly to dispatch managers jobs in jeopardy of being missed or late, providing the ability to reshuffle staff to meet promised commitments or readjust customer expectations. AI technology can schedule techs with parts on trucks appropriate to the expected repair, improving the technician’s ability to repair or maintain products in a single visit. And, in cases where the tech requires additional assistance, mobile technology and AI-Based digital assistants can provide additional assistance and help to achieve the highest first time fix rates. Field service organizations are increasingly recognizing the benefits of using a hybrid workforce. Intelligently incorporating credentially, skilled contracted technicians helps field service organizations better manage demand. Using contractors to cover gaps in coverage, overflow, seasonal spike or even for special skills enables your organization to deliver its commitments to customers, quickly, and consistently with either employees or contractors. Using AI based scheduling optimization and dynamic contractor dispatch solutions reduces schedule costs. AI selects an appointment to offer customers based not only on the customer’s requirements, but based on cost-based hard and soft constraints like tech efficiency, drive time, and overtime, such that each offered appointment is the lowest cost option for your organization. Continuous re-optimization ensures that as new jobs are requested, that each new request and existing jobs are reshuffled to maintain and reduce overhead costs as much as possible. Further, intelligently factoring in contracted labor can further reduces operational costs, as low margin, remote or even costly skills can be outsourced at will, while maintaining consistent service delivery. Any Industry can Benefit from Workforce Management Software. Workforce management software can be used by any industry with mobile workers to better enable field teams to deliver great customer experiences to B2B as well as B2C customers. However, it’s important to define the nuances between servicing B2C versus B2B customers, your specific industry use cases, as well as the workforce with which you deliver services. According to Gartner’s report “Key Processes for B2C Field Service Management”, published 14 December 2017 by analyst Jim Robinson, some field service management solutions support service delivery to both B2B and B2C customers to varying degrees. Consumers increasingly desire faster onboarding and shorter arrival times, and have an overall expectation of a better customer experience, but will often move on to the next provider if forced to wait to schedule or receive service. B2B customers often have contractual guarantees in terms of response time or SLAs and direct support channels used to request services. When choosing the best workforce management solution for your business, define your customer’s desired service journey and configure processes and technology to support it each step of the way. Listen to your customers. Understand how they want to interact with you, what they expect from onsite personnel and how quickly they expect you to respond and ensure that your training, processes and technology support their expectations, especially when there are differences between what a residential customer expects than what a commercial customer expects, and tailor your services to each. Every industry is different. Where consumer centric industries might be focused on turning wrenches to fix broken products, an industrial industry may be focused on using IOT data from connected machines to prevent broken products. 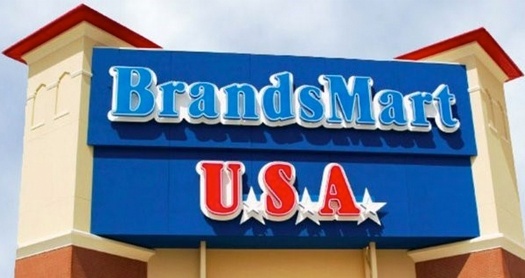 Insurance teams may be focused on not only policy holder response, but also on the safety of staff in hazardous conditions, whereas a retailer is focused on the speed of delivery and installations of products. Even the length of a work order varies greatly between industries, with appliances repair averaging 45 minutes, whereas telecom or utility maintenance work or security installation in a new construction could take days to weeks. Define the kinds of work your team must perform, and deploy process and technology which supports each specific instance. Onboarding, credentialing and dynamic dispatching is also important when dealing with contractors. Your customers trust your organization to send safe, skilled workers into their homes and businesses. Do the homework to ensure that is in fact, true. Using technology which enables you to use rules and ranking, such as quality, costs or even OEM authorization, provides you with a mechanism, much like AI used in schedule optimization, to select and dispatch the best contractor for every individual work order. It’s also critical when dealing with contractors to recognize the power of the checkbook. Volume speakers louder than demands. Contractors are more inclined to adhere to your rules and processes if they are receiving large volumes of work in one software solution. Forcing a new technology with a single workflow adds overhead for them. Aggregation platforms drive volume through a single pipe, with common processes, increasing contractor adoption of the technology, and your processes, exponentially, therein enhancing your ability to deliver seamless service with contractors as well as your own staff. By focusing on the ideal customer outcome and their desires for digital, real time interactions with your organization, you can edge out the competition, build customer loyalty and longevity, and improve the lifetime value of each and every customer. This focus will allow you to more easily create a clear direction for both employee and customer communications. Get the resourcing right for the project at the start, and know, for a time, you may need a dedicated team. What might this team look like? In addition to a project manager, appoint internal stakeholders. Include a customer service representative, a field worker, a marketer, a supply chain representative, and an IT technician. The field workers’ opinion is particularly useful, firstly because they understand the work more than any other. Secondly they understand what customers like and dislike. Finally, it will help in getting their team’s buy-in from the beginning. Make sure everyone in your organization understands why you are considering a new mobile workforce strategy transform field service. It could be for a combination of reasons, not only being more competitive, but to also better enable technicians’ ability to deliver a great customer experience, while improving operations. It could also include important new technologies that help field service organizations be more proactive – like the Internet of Things (IoT). The digital era provides a vast array of mobile workforce management technologies as well as complementary technologies; this is daunting but also an opportunity. Get creative, establish an internal brainstorm, and call upon your employees’ expertise in the digital project team and wider. Millennials working in your organization, long used to working with mobile tools, AR in video games and social media, may have some great ideas. So will the most experienced veterans that have ‘seen in all.’ Look externally at your competitors and look at similar sectors for benchmarking ideas. A good structure to use is to start with the desired customer outcome and then work backwards. That way, all the technology, all the field employee training and all the resource deployment will be focused on the same objectives. You don’t want to just implement technology with a vendor and have them walk away. You need a partner. Engage a vendor that understands you, understands your ideas, and that can contribute to what is possible to provide opinions about what else you could do to optimize your communications strategy. 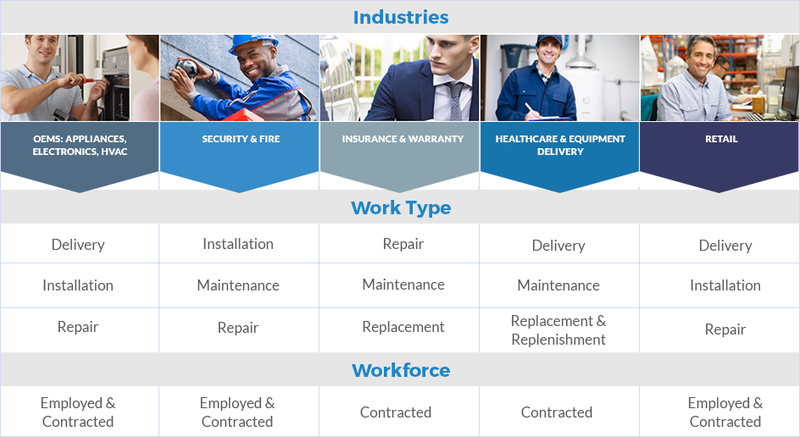 Additionally, there are many field service solutions providers, so make sure you connect with one that understands mobile workforce management software and what it takes to actually manage a network. Ask yourself these questions to help narrow down your options: Do they use tools like AI (Artificial Intelligence), real-time analytics, social collaboration and true cloud? Even with highly intuitive technology, mobile workforce management technology is transformative. It often means huge change in how workers work and communicate internally and with customers - this can be a shock to employees. Get buy-in from senior management, win the hearts and minds of stakeholders with workshops, communicate to avoid rumors and provide training. For remote workers, provide ‘How-to’ videos delivered via mobile and make sure you have adequate support to handle questions. But also, so they truly feel part of the project and not just stuck out on the road, you should arrange face-to-face meetings to build trust and engender project ownership. For customer communications, these mobile workforce management technologies be game changing, especially those which empower them with digital, real time, self-service options to interacting with you. Choosing engineer time-slots, for instance, is akin to choosing a time for delivery from e-tailers – and far more convenient. This is what they want from field service organizations today. The greatest corporate risk to change is due to a lack of mandate and therefore adoption. 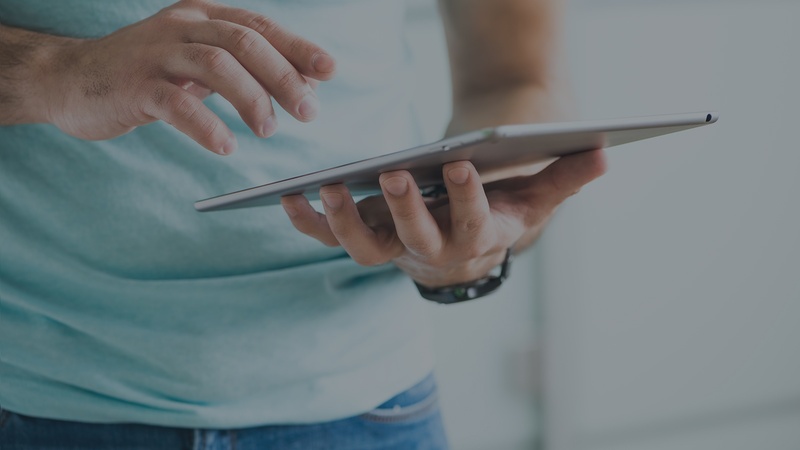 Making the move to mobile workforce management technology must be sensitively handled, and ideally different teams or regions are phased-in with employees trained on the new way of operating, and interacting with customers. Workflow communication is a great tool to help this process. Delivered on mobile devices, it will automatically prompt engineers through a ‘best-in-class’ communications process to make sure each customer gets the service they were promised and expect. Over time field-based employees will be working smarter, spending less time on administration and more time on the job in hand, improving productivity and boosting their own sense of achievement. Once up and running you will no longer be delivering sub-par field service. Powerful mobile workforce management technology can help you measure and model multiple aspects of scheduling, of employed or contracted labor resources, based on customer outcome metrics. As well as digital tracking, engage with employees. Be sure to ask them what has worked and what hasn’t. 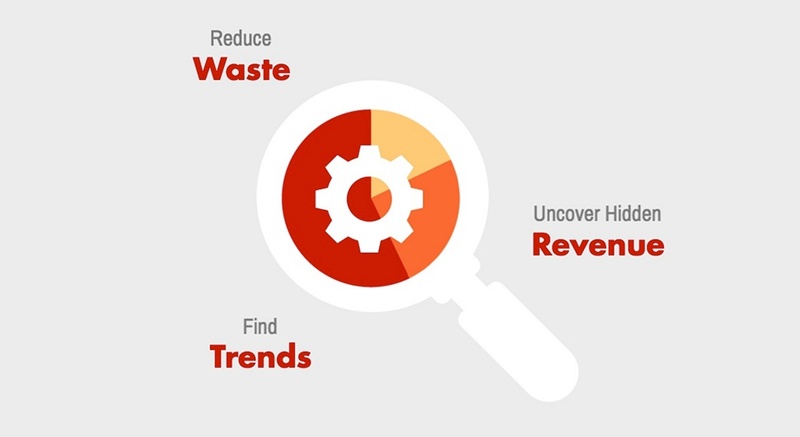 The relentless search for improvement will help your services stand out from the crowd. This is true for employees and customers. Workers are the face of your brand and communicating with them in the right way will keep them happy and engaged. Your customers will notice. Offering customers more through your field service teams is a huge step forward. Enhancing Customer Service in the Field Industry: 3 Strategies to Make Customers Happy! Consumer engagement is critical to faster service and the best field service experiences. Look for workforce management solutions which provide an intelligent digital experience which enables customers to book appointments at their convenience with trained and credentialed employed and contracted workforces, check status, communicate with technicians and track their locations is expected in today’s digital economy. It is also critical for the solution to provide a single, accessible repository for diagnostic data, triage information from the customer or connected equipment, service history, asset information that is easily available for both the customer and the technician. Likewise, the solution should offer customers the ability to do more online, such as registering product purchases, buying additional products and services, and posting reviews of the service experience. Consumers can research purchases and buy online, right now. Their expectations for service post-sale is exactly the same, and they also want their service experience to be ideally such that they want to buy more from the product or service brand. The best workforce management solutions easily engage consumers where when and how they desire with the service contract provider. Field service personnel, including technicians, insurance adjusters, installers, delivery personnel- the face of the post-sale experience. As service industry employees, it is in their very nature to want to do well by your customers, to be faster and smarter at their jobs, so that they can delight every customer and walk away feeling accomplished. Enable them with robst, end-to-end workforce management software which enables them to guarantee more equipment up-time and better first time resolution rates. Workforce management software should enable your teams to deliver faster, smarter service. Customer engagement software provides an end-to-end digital experience. Artificial Intelligence-based scheduling software automatically positions techs for success, selecting the best resource for every job, and scheduling shorter, realistic service windows that techs can achieve, making service delivery faster for consumers. IoT integration revolutionizes the service model, allowing field techs to proactively service and maintain products before they fail, and predicting future service requirements such that service contracts can be used to extend product lifecycles beyond the traditional break-fix model. Mobile workforce management software with access to assets, inventory, service history, information and expert resources makes techs smarter at every appointment, armed to resolve issues through personalized service delivery, and adding value for consumers through additional services which improve the long term value of every product. Look for mobile workforce management software solutions which best enable your field technicians to deliver great customer experiences. Leading mobile workforce management software sets the stage for faster, smarter service delivery that provides solid operational visibility and efficiencies, with a Unified - and integrated - platform. Functional groups ranging from manufacturing and quality, to IT, marketing and sales, customer service and field service delivery require a unified platform which supports the full customer service lifecycle. A unified platform improves your organisations ability to deliver faster, smarter services with employees, contractors or both, increasing service capacity and decreasing time to service. It can also standardize onsite process with configurable mobility, while decreasing the cost of service with schedule optimization and dynamic, logic based contractor dispatching. No longer do you want to be making myopic decisions that don’t enhance your brand and the service experience for your customers. A unified platform improves the process of performing service on your behalf for contractors, creating a faster, smarter model through integrated warranty claims management, which also reduces claim costs and fraud, ultimately better protecting warranty reserves. A unified platform is the basis on which a great consumer experience is executed. The right mobile workforce management software should not only collect and present information throughout the service delivery chain from IoT connect products and the customer directly down to the tech onsite, but should analyze all of that big data, feed it back into the organization so you can fine tune operations right now, as well as strategically plan for future growth. Use the data to predict your next move, allowing you to forecast the future status of your operations, including parts, staff, and infrastructure. The best mobile workforce management software is flexible and robust enough to not only apply artificial intelligence based algorithms to the scheduling process, optimizing schedules and routes, but it continuously optimizes the schedule as new jobs come in, staff issues need to be dealt with, or changes occur to existing jobs. Flexibility is all about dealing with today’s reality, automatically handling the unexpected, while helping position your team and your customers for a better tomorrow. Is your current software intelligent and flexible enough to maximize productivity while automatically handling the exceptions that pop up? Look for technology that will empower your organization to change direction rapidly if needed, and that will proactively allow you to service your customers. Even if you have found the best possible technology with all of the features you could want, it will be a wasted investment if your employees cannot use it easily and if you have problems implementing it. Choose vendors with a proven record of on time, on budget deployments. Choose mobile workforce management software which can support your local requirements as well as those of the rest of your team, around the world, without subsequent, separate deployments. The software should be the same regardless of where service is rendered, except for the obvious, like language, for instance. Modern user interfaces, easy to learn functionality, and cross platform mobile technologies improve the adoption of the software within your mobile workforce, improving your chances of delighting your customer with every visit. Your mobile workforce management software should support future growth and new business opportunities. Scalability is accelerated when your technology combines all of the requirements listed above and moves your team forward. Look for software that is configurable to ensure you are getting the most relevant data and information to your business. The more intelligent and powerful the scheduling algorithms, the better the contractor onboarding, credentialing and management, the more configurable the mobile tools, the faster and smarter service levels you can provide. Mobile workforce software is the foundation on which faster, smarter field service operations are built. See the only field service management solution on the market designed to manage both employees and contractors interchangeably. Mobile workforce management deployment is the critical second step in a mobile workforce management project. There are several approaches to mobile workforce management software deployments, depending on the organization’s requirements, size and complexity. It’s important to address the former to ensure the best deployment section. Mobile workforce management software deployments can be carried out in several ways, including the following. A waterfall mobile workforce management deployment is suitable for large, structured projects, and can take from 3-12 months to deploy. An agile mobile workforce management deployment is best suited for clients who prefer an iterative more agile approach and are willing to break the project up. Elapsed is similar to traditional waterfall. Each phase can last from 2 – 6 weeks depending on integration and complexity. A best practice mobile workforce management deployment is best suited for clients hosting in our cloud willing to work with industry best practices and defaults. Best practice deployments can take 2 - 4 weeks, and utilize default process. They include quick or no integration. Best practice mobile workforce management deployments can take 6 weeks (+) if there is semi-custom process and only basic integration required. 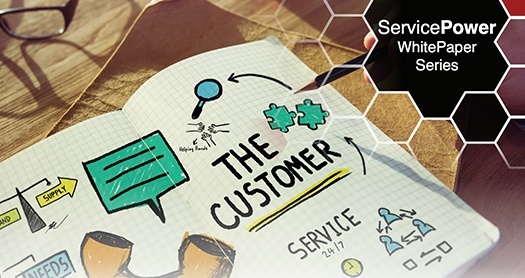 ServicePower employs a formal mobile workforce management deployment methodology which is focused on delivering value and helping customers achieve business case. We use industry best practices to manage mobile workforce management deployment from kick off through a formal transition to our long-term customer care organization. The methodology includes formal steps: Kick off, functional requirements, technical requirements, design, integration, configuration / data loads, regression testing, UAT, training, and launch support. Change Management Execution- Perform stakeholder analysis, create communication/messaging for field leaders, lead stakeholder communications meetings, etc. Workforce Fraud Analysis - Evaluate contractor data and recommend improvements such as claim validations, audits, and issues within the contractor network, including: repeated ‘same home’ jobs indicating fraudulent claims, high percentage of repeat work, labor only claims, excessive part use, excessive mileage charges, high percentage of customer education claims, etc. Performance Management - Develop performance management plans which define the metrics, team communications and execution steps required to drive continuous technician improvement, business productivity goals, and customer satisfaction. Mobile workforce management solutions offer solid benefits, ranging from measurable cost and productivity improvements to softer, customer related improvements. 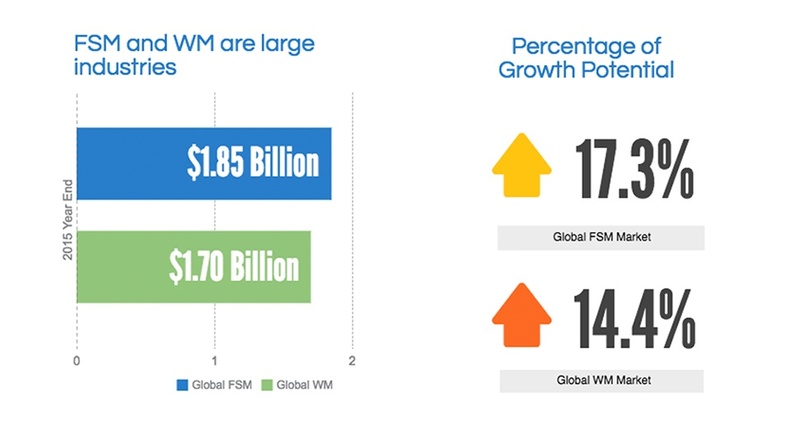 According to Strategies for Growth’s 2017 Field Service Management Benchmark Survey Update respondents, the following are the most notable benefits of an FSM solution. It’s important to evaluate what benefits your stakeholders are looking for, and both evaluate whether solutions will provide the benefits, and if so, collect data pre and post deployment with which to measure success. What is included in mobile workforce management? What does a mobile workforce management project include? Mobile workforce management projects include these formal steps: Kick off, functional requirements, technical requirements, design, integration, configuration / data loads, regression testing, UAT, training, and launch support. Why is mobile workforce management so important to organizations with field resources? On mobile workforce management projects, ServicePower recommends working with the customer project management team to execute the project milestones and deliverables, including generally the following team members. Executive Sponsor Responsible for executive level support and oversight for the project. Territory Account Executive / Account Manager Primary ServicePower contact for the customer. The Territory Account Executive or Account Manager is the customer advocate. Project Manager Fully responsible for the Project. Creates a detailed Project Scope document and a detailed Project Plan and is the primary contact during all stages of the engagement process. Business Consultant Provides all analysis work, solution requirements gathering, and documentation during the solution delivery process. Responsible for installation and configuration best practices in support of customer’s deployment requirements. Manages and delivers solution releases internally and to the customer. Technical Consultant Works with appropriate team members to define and design the required solution (hardware, software, services, etc.). Outlines hardware, software and OS configurations. Oversees the technical analysis and integration aspects of the Project. Solution Developer Solution development, engaging the customer as appropriate. Quality Assurance Engineer Solution testing, engaging the customer as appropriate. Customer Service Manager Provides ongoing support following the solution delivery process; the primary customer contact. Support Manager Provides ongoing support (help desk) following the software solution delivery process. Customer Instructor Delivers agreed upon learning material and sessions to prepare the customer participants for Go Live and continued use of the system. SME Subject Matter Expert – a trusted, experienced business representative with deep understanding of the business requirements and limitations for Scheduling (FTE), 3rd party Dispatching, claims, mobile, assets, parts, sales, etc. IT Dev The IT developer is a software developer skilled in the integration technologies (C libraries or Web Services) and with a solid understanding of the business application being interfaced. Sys Admin The SA is an IT representative with good knowledge of the IT policies and technology platforms supported (usually a Server expert). Infrastructure Analyst The IA is a representative which manages the servers and networks on which the software will be loaded, tested and deployed. Business Systems Expert The BA has comprehensive knowledge of the business data stored in current Service IT systems. Can identify businesses data elements required by ServicePower and where they reside in current systems. Field Ops Manager The FOM represents field management. Will be responsible for establishing field based success metrics for the project (Productivity and Customer Service). Dispatch Ops The DO represents the dispatch operations function. Will be responsible for establishing new dispatch working practices. Call Center Ops Call Center ops represents the front end customer call taking function, especially in regard to the appointment offer and book processes function. Will be responsible for screen design sign off and for training call takers. What industries does mobile workforce management touch? Mobile workforce management touches any industry delivering field-based services utilizing employed, contracted or freelance remote workers. Mobile teams can provide any service ranging from delivery and installation, to service, repair, maintenance, inspections, or any other activity. What does AI mean in field service or mobile workforce management? Schedule optimization used by organizations with large transactional volumes, complex work or expensive personnel, requires artificial intelligence (AI) algorithms. AI algorithms in field service include computer based mathematical logical that can use hard and soft constraints, as well as other cost based parameters, technician information, job information and existing schedule data to deliver an appointment offer that meets the customers requirements while staying in line with the configured organizational parameters. A contractor is an independent company or mobil worker with whom a field service or mobile workforce organization has on boarded, credentialled and negotiated rates and expectations for service delivery. Contractors cannot be treated by the mobile workforce organization as an employee and schedule them as such, since, most often the contractor receives work from multiple sources. Learn how to ensure success with Optimization Technology in this new report from Gartner! Where must you invest in field service operations to drive results for your business? 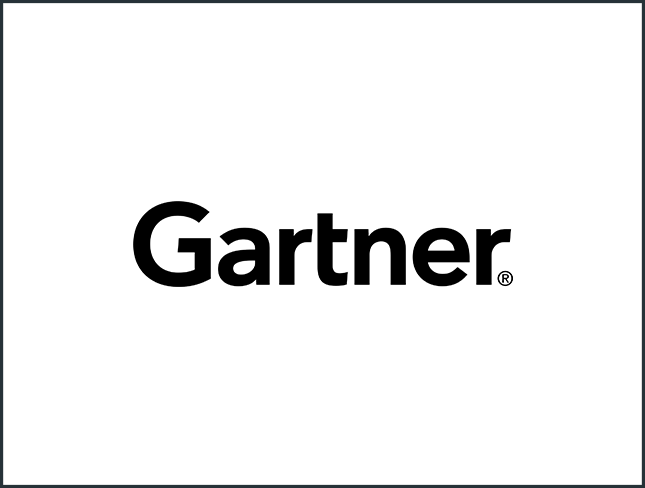 Learn how to improve your customers' experience with this new report from Gartner!